National Telecommunication Corporation needs some competent and professionals to fill their vacant situations. So nowadays NTC has announced the jobs 2019 and they are invites the application form from the candidates who are fulfilling the eligibility criteria, terms and condition that they are requiring. Punjab, Sindh, KPK, Balochistan and FATA All province domicile holder candidates can apply for these NTC jobs 2019. NTC official department has authorized the NTS to collect the application form then short list the candidates on eligibility basis then prepare their roll number slips and send them after that nts must conduct the written and screening test to evaluate the candidates that they are finally eligible to join ntc and can work or not. When test will conducted the same night of test commencement answer will be displayed and the after a week result will be declared then candidates will be referred to NTC official department to further procedure like interview. Once you will cleared the nts test and then you will be called for the interview by the official NTC department. Once you will be cleared the interview then NTC career department will be set the merit lists and then selected candidates will be called for join the NTC Jobs 2019. But in all of this process one of the most part is NTS Test preparations and Interview preparations and we are offering the online test and interview preparations at this page. 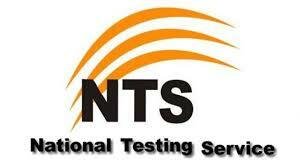 All the test are made according to the NTS Test syllabus and pattern so must start preparations with us. All the preparations test are given below. Candidates already in Government Service may submit their application through proper channel. Age will be calculated with effect from the last date of submission of applications. Age relaxation where applicable shall be given as per Government Rules. Successful candidates may be posted any where in Pakistan. No TA / DA would be admissible for test / interview. Application may reach to National Testing Service (www.nts.org.pk) within 15 days after publishment of this advertisement. Corporation reserves the right to increase/decrease the number of vacancies or not to fill any vacancy.